285 Summer Camps in for "Atlanta, GA"
Dash into wholesome family fun in Atlanta. Discover a bonanza of blooms at the Atlanta Botanical Garden, swish into excitement at the Georgia Aquarium or manufacture memories at LEGOLAND Discovery Center. Stalk the stems and blooms of vibrant, exotic flowers at the Atlanta Botanical Garden. Sprout your little seedling's green thumb with a garden camp filled with planting, cooking, and oodles of activities. Grow memories together at a family fun night, packed full of hands-on experiences and live performances, or grab one of the self-guided scout packs and let your children play the part of botanist as they scavenge for specific items. Embark on an underwater journey at the Georgia Aquarium. Wade into aquatic life as you glide past tanks filled with sea creatures from the ocean's depths and fresh water sanctuaries. Home to whale sharks, manta rays, Beluga whales and much more, children will access their inner marine biologist as they encounter the vast array of sea life. Transform the kids' experience into a visual feast with a trip to the 3D or 4D theater that gives kids a fishy point of view. Food courts and hands-on activities also abound at the Georgia Aquarium. Unleash kids' creativity at the LEGOLAND Discovery Center. Plunge into the largest box of LEGO bricks available and watch your children become master builders. Visit the center's Build and Test zone, so the kids can design moving vehicles and see how they go! Jump on a laser ride and challenge the family to a villain zapping contest as you bounce along. The whole family can envision fun when you head to the 4D cinema studio for eye popping adventure. Cavort with the little ones in the DUPLO Village, where bigger bricks make building safe for those with tiny mouths. adidas Tennis Camps provide athletes an opportunity to become better tennis players in a fun, positive atmosphere. Our camps were developed to provide young athletes an opportunity to become better lacrosse players by learning from the best coaches and players in the game today. Day and Overnight camps available. 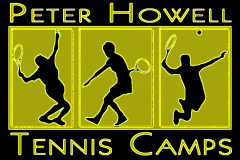 A Fabulous Tennis Camp directed by Hall of Fame Peter Howell that parents and campers rave about! Our Summer Camps are fun and engaging opportunities to explore science and technology for kids. 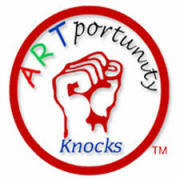 Artportunity offers Film, Music & Performing Arts Camps Jun 6-Jul 22 $149/wk scholarships available.